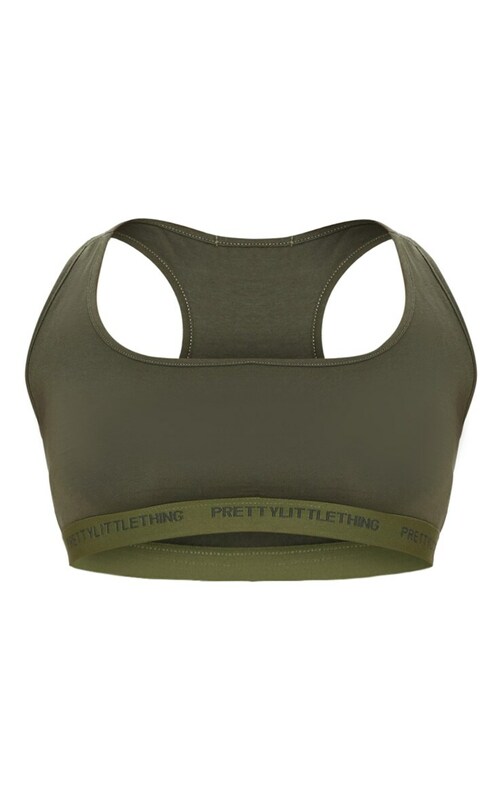 If khaki is your thing doll then this totally cute sports bra is essential for your collection. Featuring a khaki material with a 'PRETTYLITTLETHING' logo hem and scoop neckline. Team this sports bra with the matching leggings and fresh kicks to complete the look.